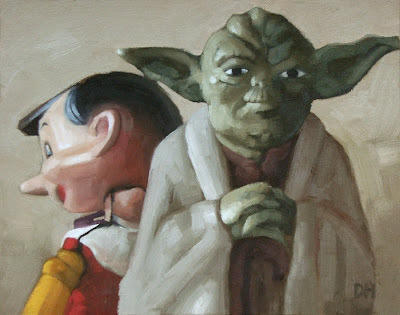 Diane Hoeptner: Pinocchio & Yoda I, Finished! Pinocchio & Yoda I, Finished! Thanks for visiting my blog. I would be more than happy to include a link to your blog. You have a nice style of painting, keep up the good work.